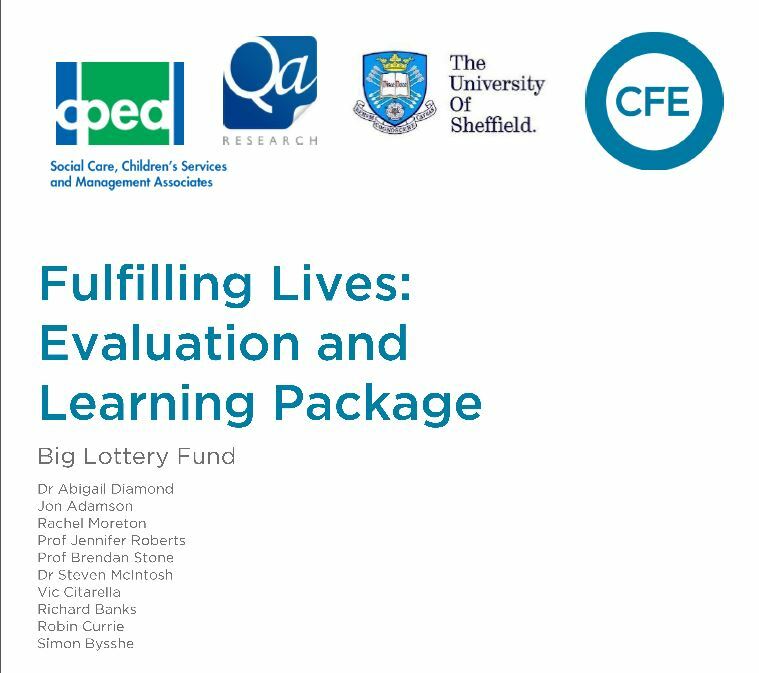 CFE Research and The University of Sheffield have been commissioned by BIG Lottery Fund to deliver an evaluation and learning package as part of their ‘Fulfilling Lives’ Programme. ‘Supporting People with Multiple and Complex Needs’ is a £100million investment in up to 15 areas of England to improve the lives of individuals’ experiences at least two of; homelessness, reoffending, problematic substance misuse and mental ill health. The evaluation and learning package is £2.4m-£3m longitudinal formative evaluation which seeks to: track the success of projects; identify what works well, for whom and in what circumstances; share learning and improve practice; and influence policy. Delivery of the evaluation and learning package starts in March 2013 and will run for approximately nine years. This evaluation initiative involves undertaking detailed research with locally led delivery projects to track and assess the achievements of the Fulfilling Lives programme. It will assess the extent to which these are attributable to the projects and interventions. The evaluation will also involve calculating the costs of the projects and the corresponding value of benefits to the exchequer and wider society. The evaluation will be participatory, with meaningful involvement of service users and other stakeholders and will encourage shared learning throughout. Partners working on this research include: CFE, The University of Sheffield, CPEA (Social Care, Children’s Services and Management Associates) and fieldwork specialists Qa Research. CFE Research are an independent not-for-profit company specialising in providing research and evaluation services across a broad field of education, employment and skills.